12:00mid – POLE BABY! 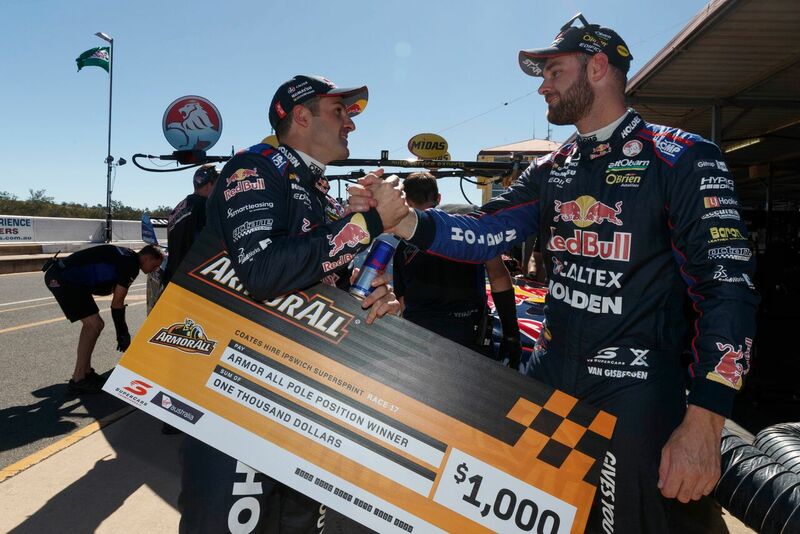 JDub takes home today’s pole position with SVG in P4 ahead of this afternoon’s 200km race. 9:30am – It’s all happening on the grid! 8:30am – Don’t forget to head out to the grid for the True Colour Track Walk! 7:03am – Early morning pit stop practice on a Sunday never looked so good. 1:48pm – It was a quick qualifying session but we laid some good pace, JW in P3 and SVG P5, front sector of the grid! 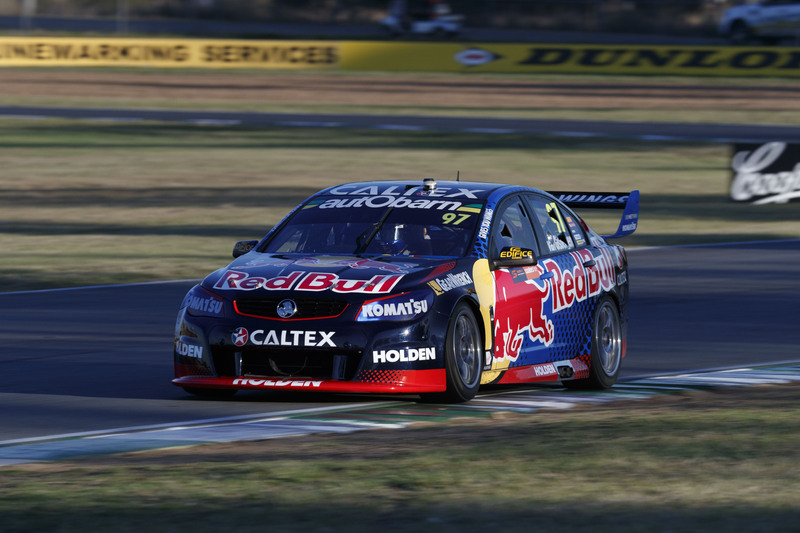 12:31pm – A fast-paced final practice session saw JW take P1 with SVG in P10. Glad out mate Scott Pye is out of his car safe and sound after a crazy finish to the session. 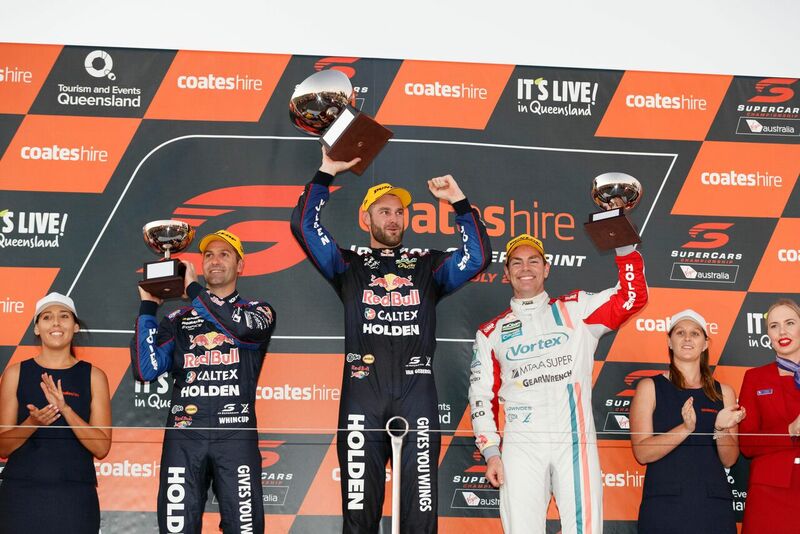 10:23am – JW FAST FACT – JW has an active streak of 95 consecutive VASC race finishes, an all-time championship record. Last DNF – Gold Coast 2013. 9:30am – It’s bring your family to work day here in the RBRA garage as we welcome crew members families and the extended Triple Eight family into the garage. A great bonus about a home round is that we get to finally share this crazy world of motorsport with our loved ones Also, all those brains that stay back in the office of a race weekend get to come out for some high octane fun! 8:23am – It is going to be a hot one today as winter temps get to an all time high. Sure beats the freezing cold QR we are used to (I am sure the drivers disagree!). 3:20pm – A solid practice session to start off the weekend. It’s always key to get the car balance sorted and get a feel for the tyre. SVG in P6, JW P18, still one for session to go for the day. 12:34pm – Can we get on the track yet? 11:43am – Just in case you thought they may have been kidnapped, both PD and AP are busy globetrotting around the world currently – so they will miss todays practice session. 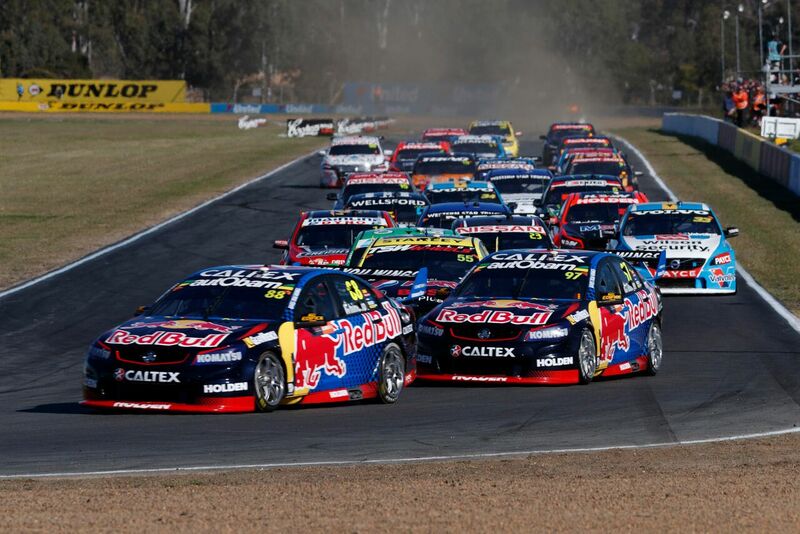 9:08am – FUN FACT – Triple Eight has won eight of the last 14 QLD Raceway races. 8:00am – We have arrived to a foggy QR this morning, but we know temps will start rising soon for a hot day on track. 2:30pm – Our T8M8 Members Area is back! If you’re a member and at the track this weekend, you must come check it out, it’s the place to be! 11:10am – We’re at the community day meeting the locals, come say hi if you’re around! 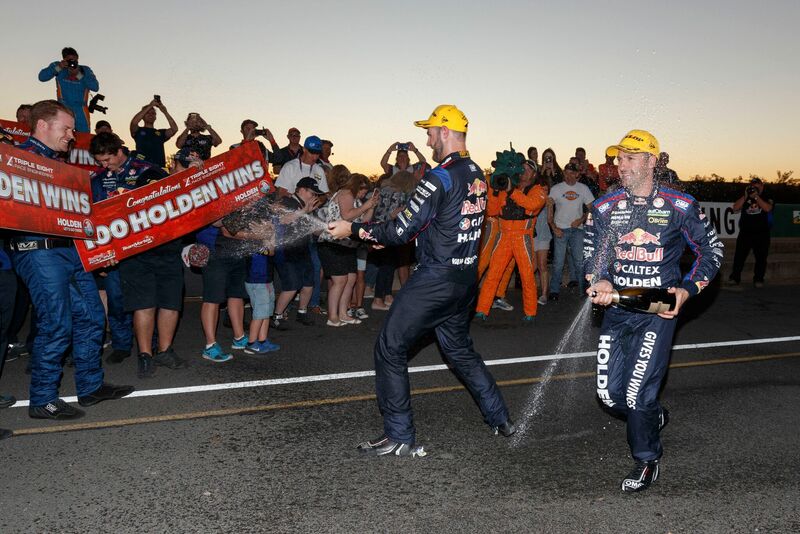 8:06am – FAST FACT – With the two race wins in Townsville, Triple Eight has now won 99 of its 150 race wins for Holden – the next will be the 100th win for Holden since the team changed manufacture back in 2010. 7:10am – We hit the track today to set up the garage and get everything in place for tomorrow’s practice sessions. 9:02am – Don’t miss your chance to meet the drivers over the race weekend. 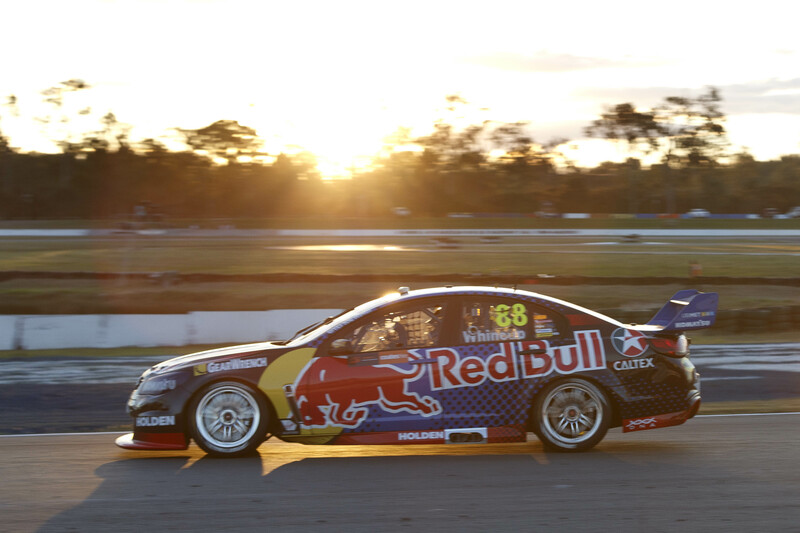 4:58pm – SVG gives us a colourful interpretation of the QR track. 3:36pm – Let’s kick this LIVE Diary off with a fast fact!